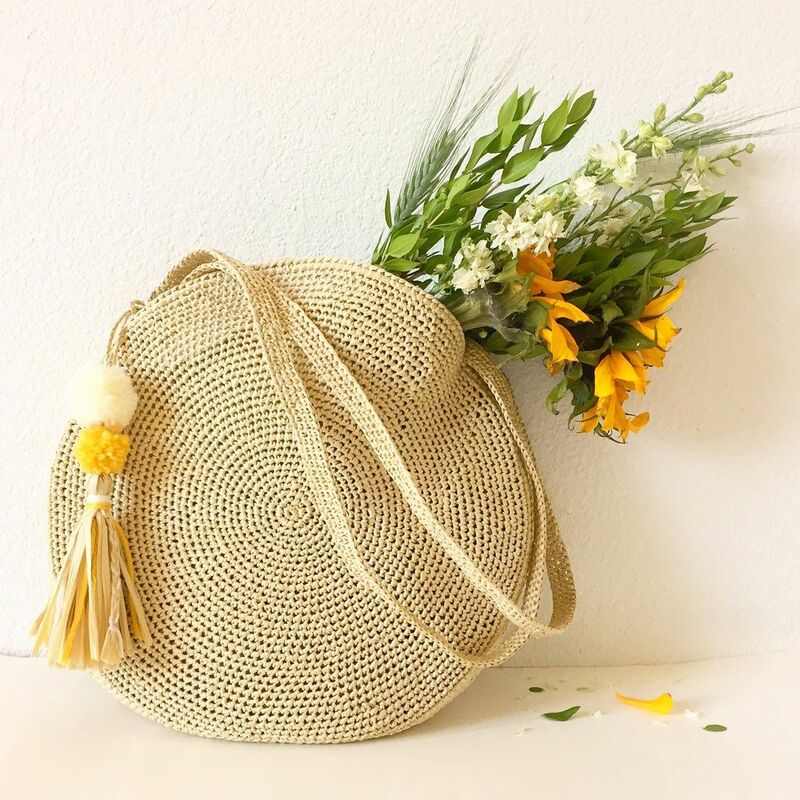 Just in time for fall, or any time for that matter, this free crochet flower pattern makes a flower with thin spiky petals much like a snowball mum or zinnia. Best of all it’s easy. I will warn you that it does take a bit of time to make all of the spikes. It’s worth it to keep going and finish as the last row is what really turns this from a blob into a pretty flower. With so little counting, I like making these while watching TV. 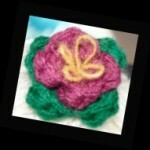 Yarn selection will greatly impact the finished look of your crochet flower. 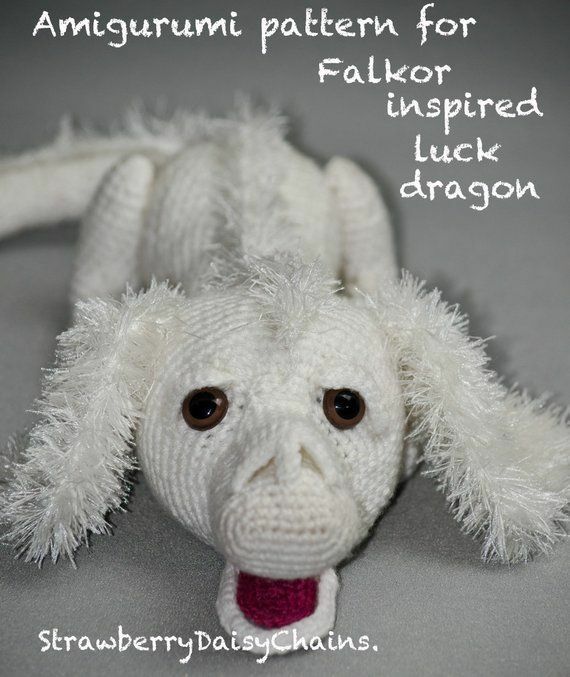 Pattern instructions are the same for all yarn types. 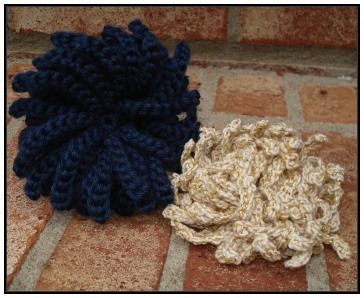 The blue crochet flower was made using a soft, shiny and slippery-ish yarn like Caron’s Simply Soft and is very floppy. The white and gold flower was made with this same free crochet flower pattern but was constructed with a thin white cotton yarn combined with an even thinner three-ply tinsel type yarn made up of a strand of metallic and two strands of matte gold sewing-weight threads. The white flower is much stiffer, holds it’s shape more and the petals tend to be a bit more curled. So, if you like floppy crochet flowers use a soft yarn that has some stretch, if you want a stiffer flower with curlier petals use a yarn that’s not prone to stretch or slip. 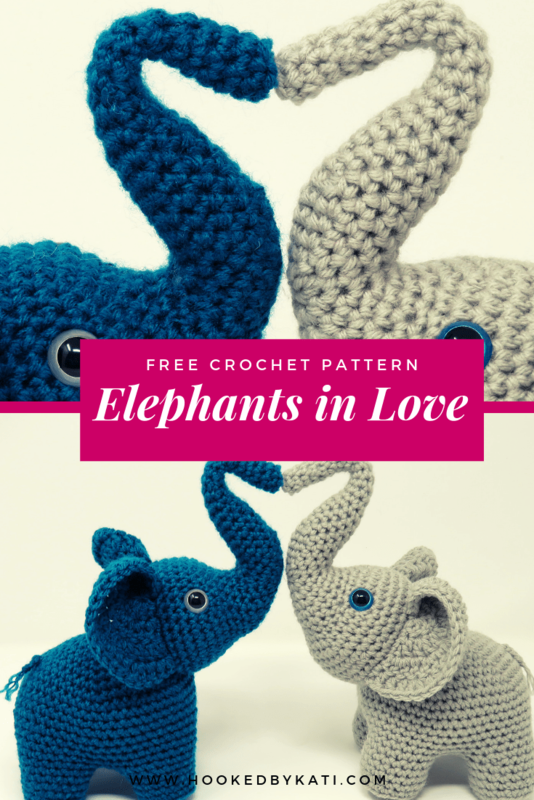 Also, this free crochet flower pattern is very forgiving. If your third row only has 23 stitches, don’t worry about it, just keep going. If you make one petal only 9 stitches, no one will know but you. Make your slip stitches even. If you want petals with more curl, make them as tightly as possible. You might even want to use a needle a size smaller than you used for the round base. 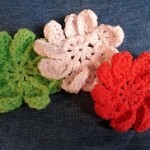 At the top of each crochet petal (10 chain) when you turn to come back down, be mindful not to create a big gap or loop. 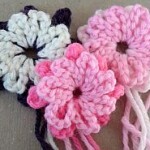 It will show and make your crochet flower look sloppy. Use the magic ring or other technique to create a 6 stitch ring. ROW 2: work only in the back loop and make 2 sc in each of the 6 stitches of your ring. ROW 3: work only in the back loop and make 2 sc in each of the 12 stitches in the previous row. ROW 4: work only in the back loop and work 1 sc in the odd stitches and 2 sc in each even stitch. 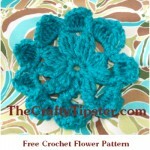 The petals of the crochet flower are worked in all those front loops we didn’t use in rows 2-4. Starting in the center of the flower and working in a spiral manner, make 1 sc into one of the front loops, chain 10, turn and slip stitch back down to the base of the flower, make 1 single crochet in the next front loop, chain 10…continue working around and around your base making petals. It will be tempting to quit before you get to the last row but trust me, it’s the last row that really makes the flower pretty. Make another row of petals in the front loop of the outside base row. Make these petals the same length as the rest or add one or two more chains to make this row of petals a little longers. Make the first row of spikes shorter than the rest to create a more defined center for your crochet flower. Use a different color for the foundation circle and first row of spikes. String a number of beads onto the yarn before you start and use them at the tips of each of the petals. Don’t forget that the beads will add weight to your flower and the petals might lay a bit differently. These are cool. Interesting how differently the yarns turn out. Have you tried it with any other yarns yet? 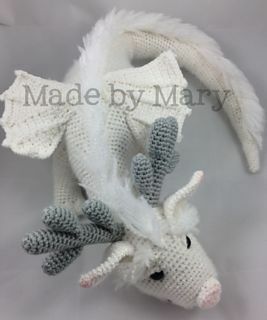 Thanks so much for this pattern – I love making these for the “Caps for Cancer” – they add such a nice touch. I put on button on the hat and then the flower is removable.